Colmac WaterHeatHome - Colmac WaterHeat | Industrial water and air source heat pump water heaters for energy efficient potable water heating. 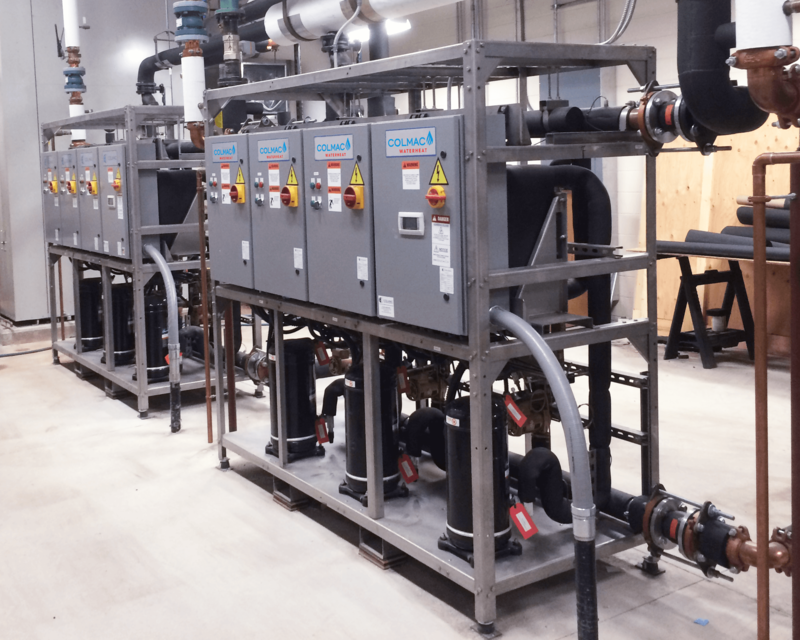 Colmac heat pump water heaters offer commercial and industrial users of sanitary hot water an energy efficient means of heating water to temperatures as high as 185°F (85°C) in a single pass. These heat pump water heaters use the same operating principle as an air-conditioner or domestic refrigerator. The heat pump gathers heat from the surrounding air, and through the refrigeration cycle, deposits the heat into water at a useable temperature. This principle of moving heat with a heat pump, rather than generating it by burning fossil fuel (i.e. 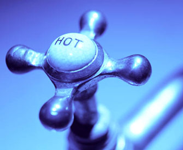 natural gas), or electric resistance, makes water heating with heat pumps the best choice for conserving energy. 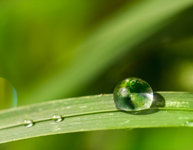 Depending on the temperature of the source air or water, domestic water can be heated using one third to one fourth of the energy required by electric resistance, or gas! This principle of moving heat with a heat pump, rather than generating it by burning fossil fuels or electric resistance, gives water heating heat pumps a higher COP (Coefficient of Performance) than traditional methods of heating water such as boilers or electrical resistance. Colmac WaterHeat heat pump water heaters are the most efficient method available today for heating water. These extremely high COPs attained with heat pump water heaters make them a green, sustainable heating option requiring no fossil fuels. This can be a central part of a LEED points design and/or qualify for environmental utility incentives or credits where available. Safe for potable (sanitary) domestic water systems, the double wall-vented condensers used by Colmac fully isolate the refrigerant from the water system. 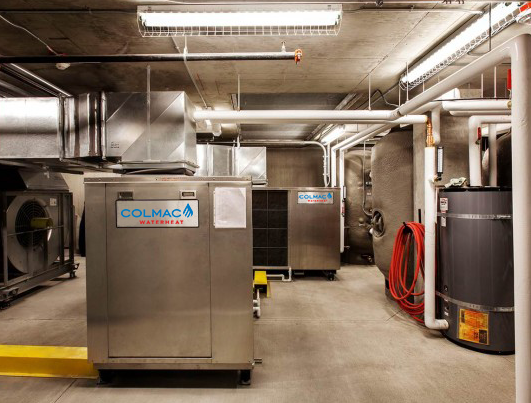 Additionally, by heating water to 140°-185°F (60°-85°C) in a single pass, Colmac WaterHeat has created a true HACCP (hazard analysis and critical control point) for the eradication of Legionella in hot water storage systems without the use of UV or chemicals. Designed for low maintenance and easy service, the Colmac WaterHeat heat pump water heaters have a life expectancy of 15+ years with some units having a life span of 25+ years. The Colmac WaterHeat single pass system delivers a constant leaving water temperature for continuous water heating whenever the unit is running. All Colmac WaterHeat heat pump water heaters are designed, built and tested in the USA.